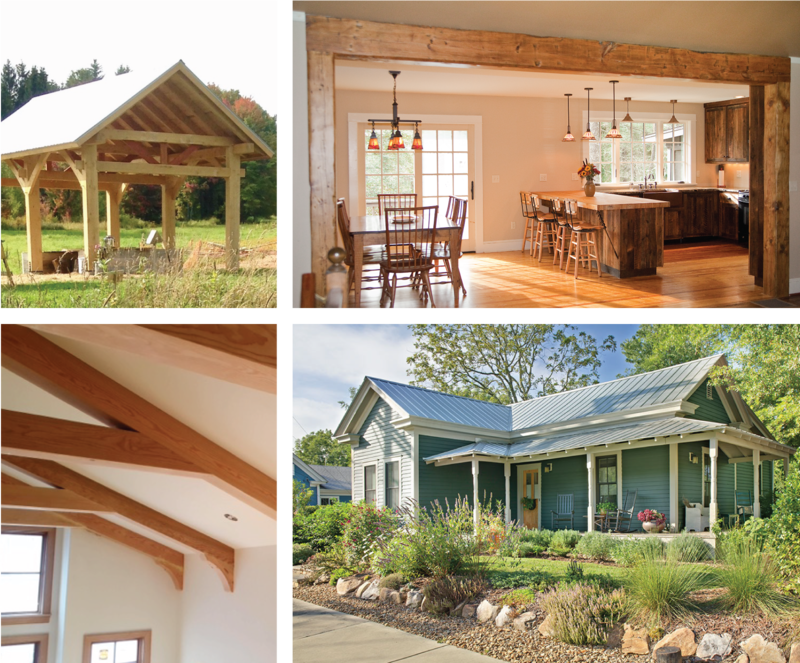 We make timber frame structures that will stand for generations to come. Our focus is on quality and tasteful construction no matter the scope of work. Using reclaimed wood and locally harvested logs brings out the artist in our craftsmen; we are passionate about keeping old wood alive! We want our customers to have a finished product that has a story to tell. In addition to timber framing, our services range from new home construction, energy-efficient green building, custom furniture, and renovations. Working with Wheelhouse on a full-house renovation was a delightful and creative experience. Best of all, they are always open to new solutions and new ideas. Everyone on our team shares in our environmental ethic, attention to detail, and love of wood. We enjoy the process of seeing projects through to the end and strive to make the experience enjoyable for our customers.